Has anyone ever said that you remind them of Santa Claus? Would you like to earn some extra dollars for the upcoming Christmas Holiday season? Who do you reckon is the most popular guy in the world next to Mickey Mouse? Santa Claus of course! Especially around December, he’s one of the most high profile guys around, and he has one of the most important jobs of the year. With his famous red suit and team of reindeer who help him deliver his gifts on Christmas Eve, Santa makes millions of dreams come true across the world. 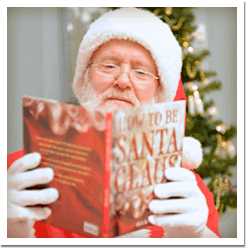 D0 you have what it takes to be Santa Claus? Hire A Santa is an equal opportunity seasonal employer who can offer you work from one hour a day to 7 days a week. Work as little or as much as you can/want. Jobs available all across Canada. All applicants with rosy cheeks, a twinkle in their eyes, grandfather-like white hair, a love of children and of reading stories are welcome to apply. Requirements vary depending on the type of event and venue. You may be required to stand or sit for long periods of time. You may be required to walk or roam. You may be required to carry equipment or supplies. You may be required to pick up children or have them sit on your lap. Must be fully trained to work in confined environments such as chimneys, window ledges, and rooftops. 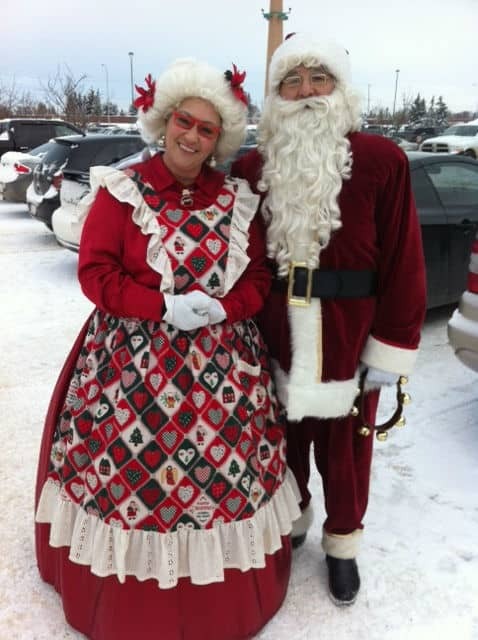 While we know a lot about Santa Claus and his duties around Christmas, what about his wife, Mrs. Claus? What role does she play? Is it to keep her husband organized throughout the year and around the festive season? Perhaps it’s to keep track of toys and help the elves when they need an extra hand? Or maybe it’s to support Santa in all his endeavors, including cooking hearty meals for Santa and his reindeer before the big journey on Christmas Eve? What role do you think Mrs. Claus plays in the festive operations? And do you think you have what it takes to be Santa’s right-hand lady? If hired, you must pass a criminal background check at your expense. If hired, you must supply a SIN along with BN if you are self-employed. If you earn more than $500 with us, a T4A slip will be issued. If hired, a Performance Agreement / Contract must be signed before beginning work. You may not provide services directly to Hire A Santa customers. You may not sell, share or provide our customers contact information with any other parties. Hire A Santa is an equal opportunity seasonal employer who can offer you work from one hour a day to 7 days a week. Work as little or as much as you can/want. Jobs available all across Canada. All applicants with rosy cheeks, twinkle in their eyes, grandfather-like white hair, a love of children and of reading stories are welcome to apply. 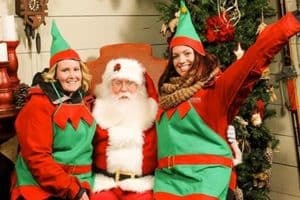 Want to be an ELF and hang out with Santa and Mrs. Claus? Our elves embrace their inner child. Our elves love milk, hot chocolate, cookies, and other delicious festive foods, which explains why some of them are a little round around their middle! We also offer great benefits to our team, including holiday packages and other fun perks. Our elves make sure that the toys are packed and ready to go, and they work hard to help Santa complete his duties and deliver his gifts on time. Working as an Elf is a very important job – are you ready to take on the challenge? Certificate/Diploma in Toy/Camera/Computer Equipment from an accredited Elf institution. Electronic, Printer, Cannon, PC and MAC troubleshoot institutes. See job listings for BC, Alberta, Ontario and International.